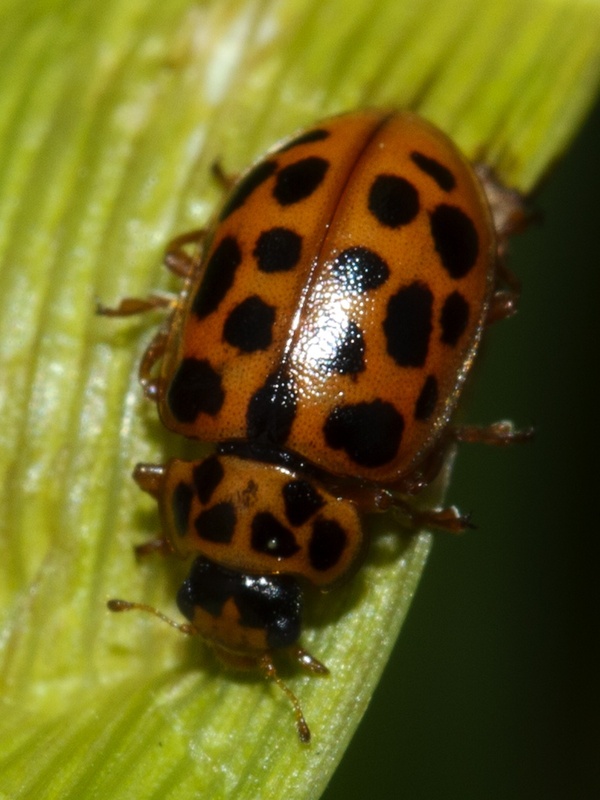 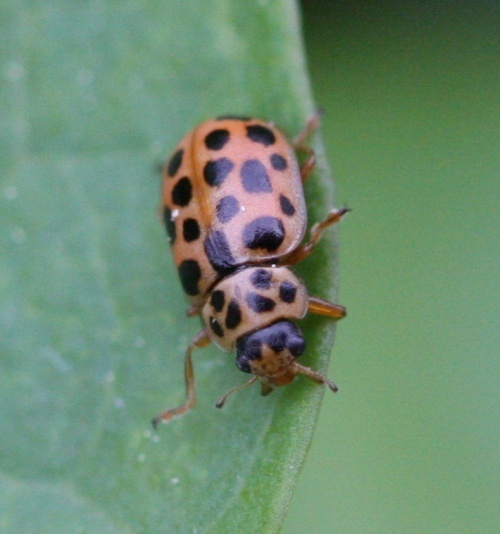 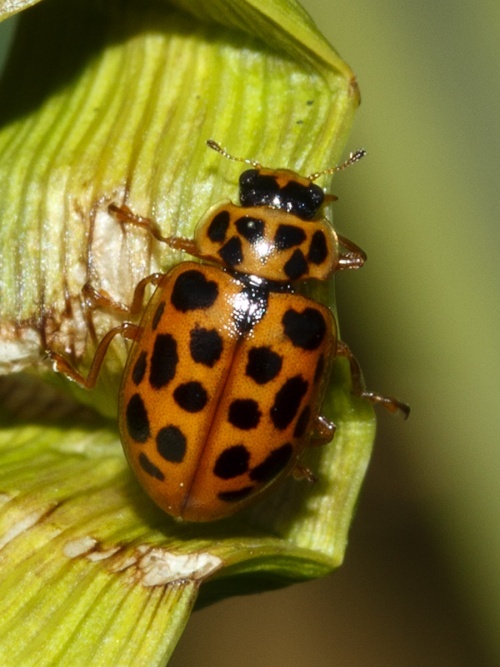 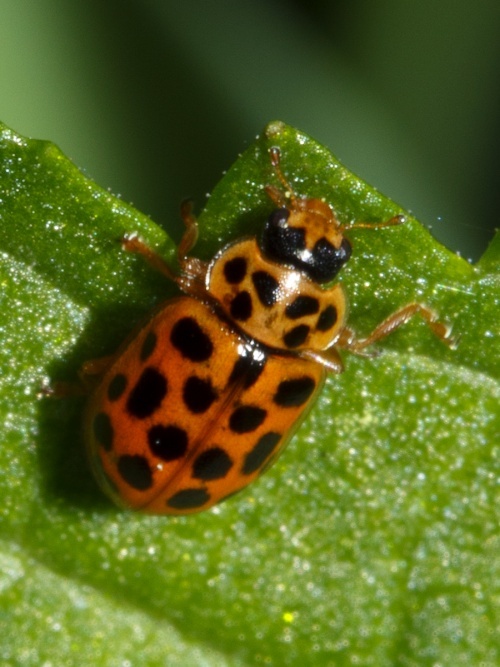 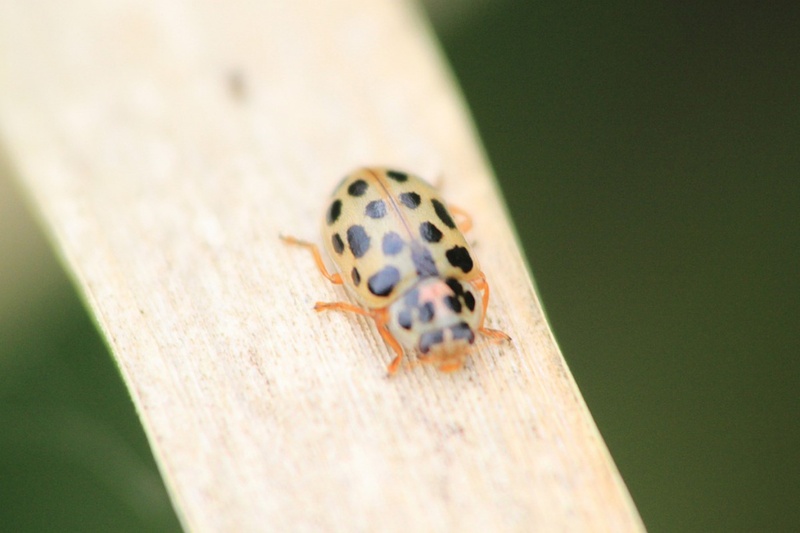 The Water Ladybird (also known as the 19-Spot Ladybird although the number of slots on the elytra may vary between 15 and 21) changes colour in autumn from red to beige/ochre colour, which may prove misleading when comparing specimens for identification. 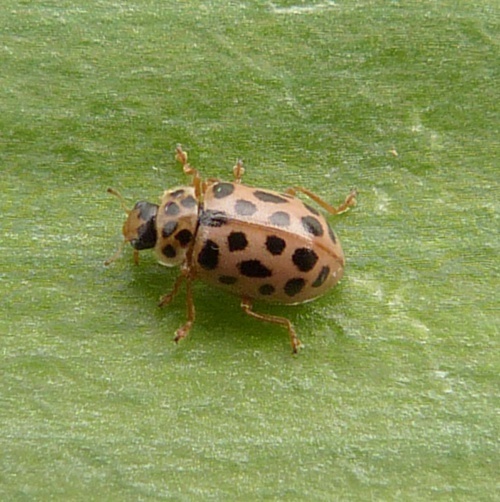 It is about 3.5 to 5 mm. 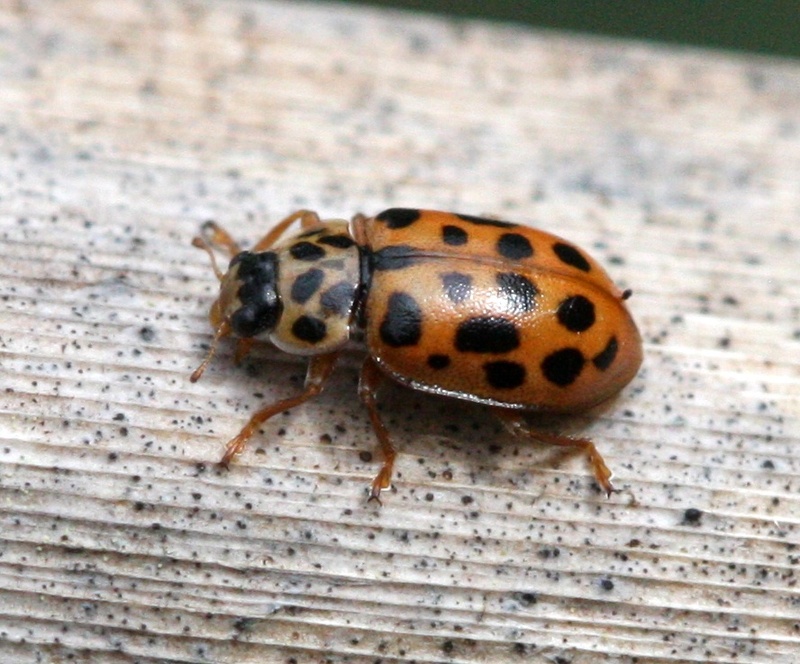 The pronotum has six spots. 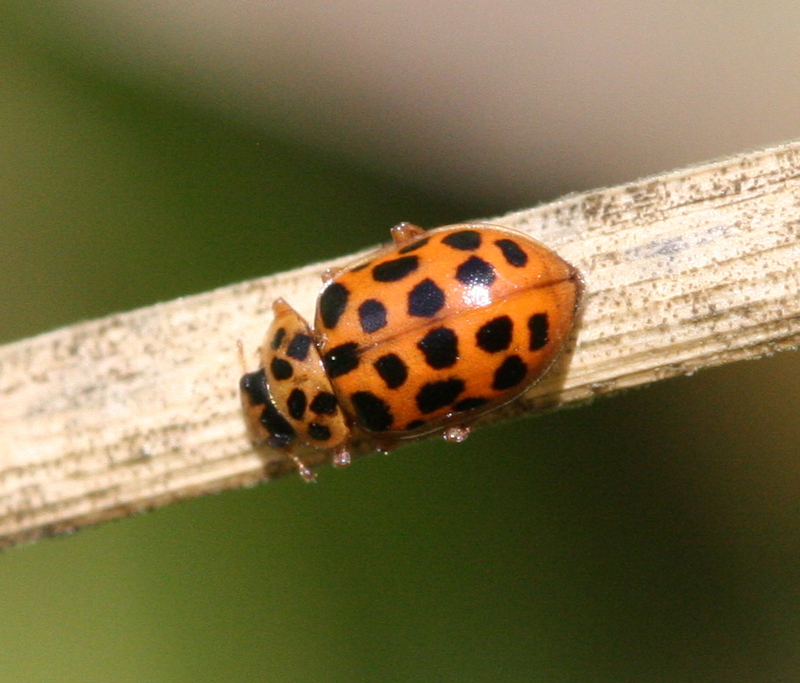 It is distinctly elongate and flattened in shape. It is usually found by water as it feeds on the aphids on waterside rushes. 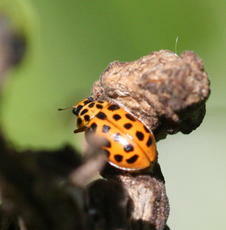 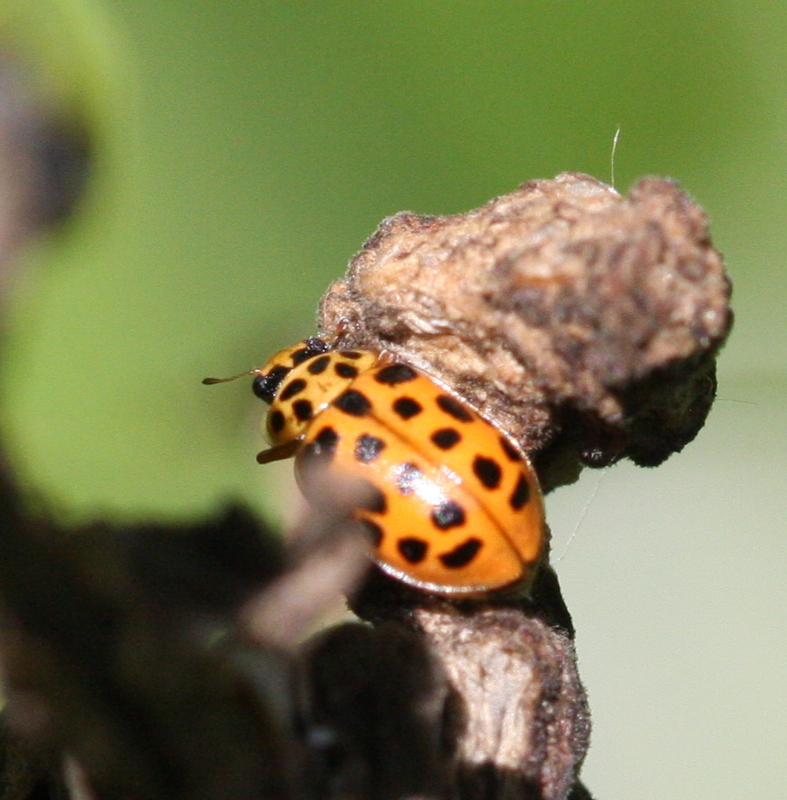 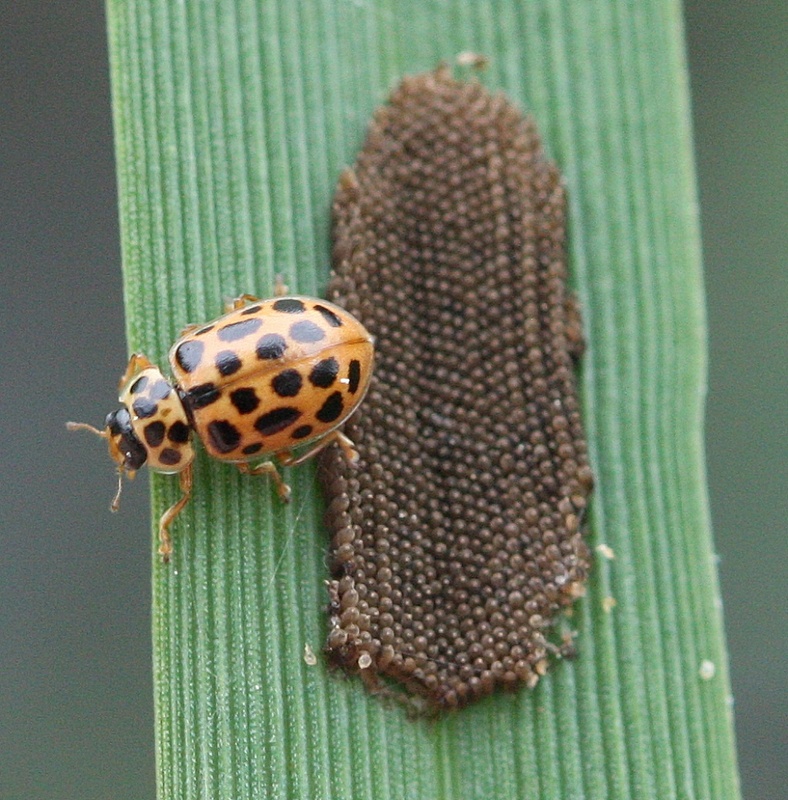 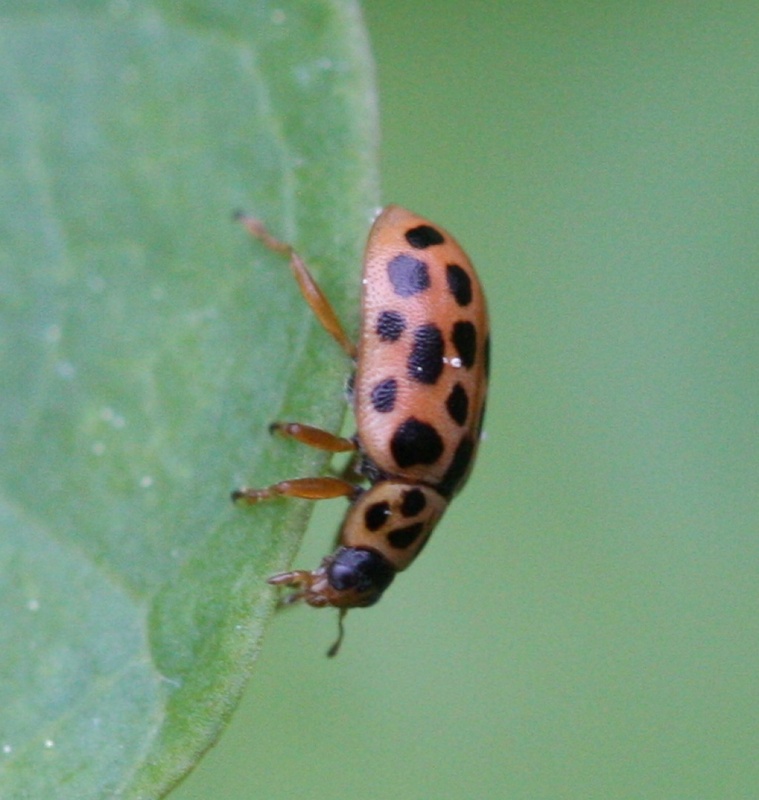 The water ladybird is active from April to late summer. 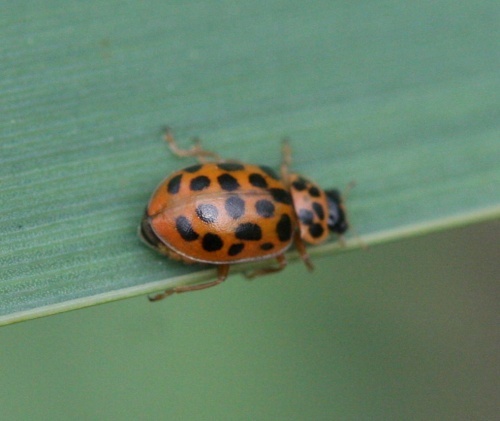 It overwinters between leaves and in stems of reeds, grass tussocks and other dense vegetation. 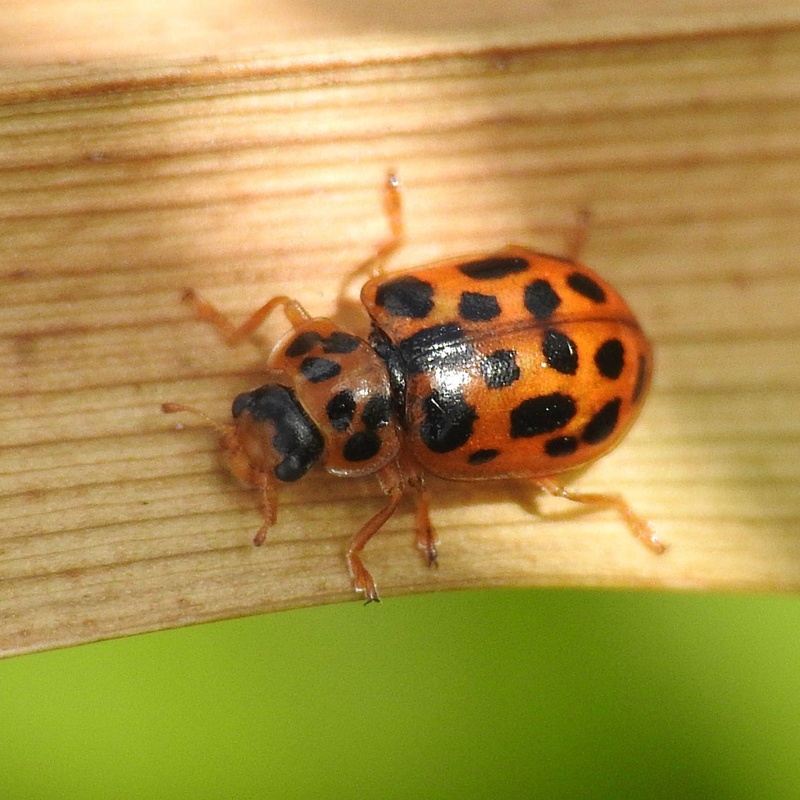 This species is widespread and fairly frequent throughout England. Fairly frequent in Leicestershire and Rutland. 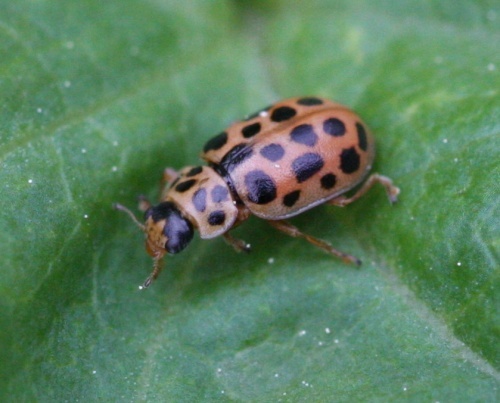 There were a total of 119 VC55 records for this species up to March 2015.